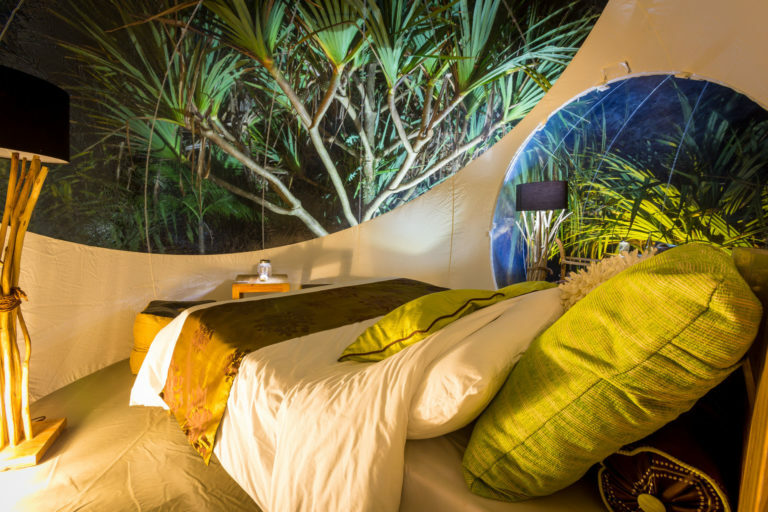 Spend a night in your own transparent bubble suite with its stunning views of the tropical star studded sky. 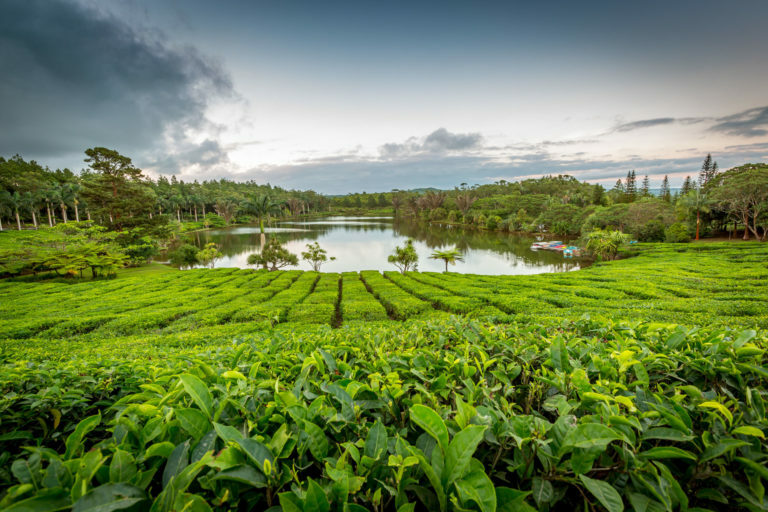 The lodges are located in areas of extraordinary natural beauty and cultural significance; perched on the edge of a volcanic crater lake, a historic tea plantation, and plunging waterfalls. 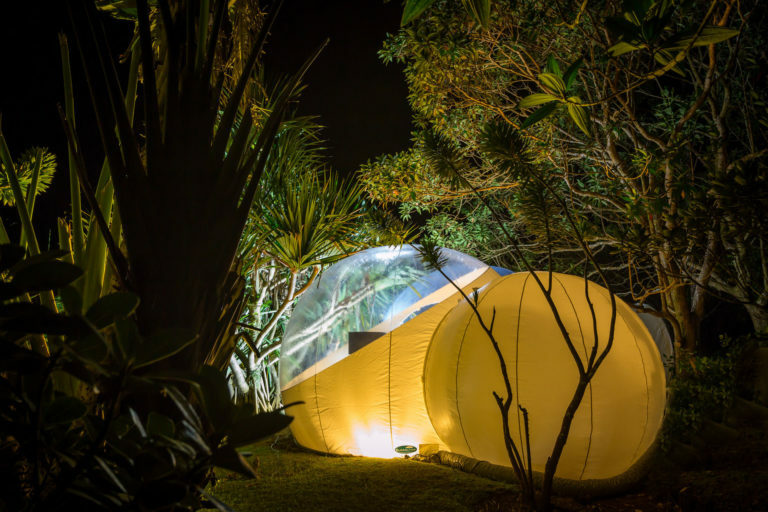 The eco friendly approach to this unique glamping experience provides you with the best of back to nature immersion and a glimpse into Mauritian way of life! You will also have a chance to spot local wildlife such as Java deer and monkeys in the forest jungles. 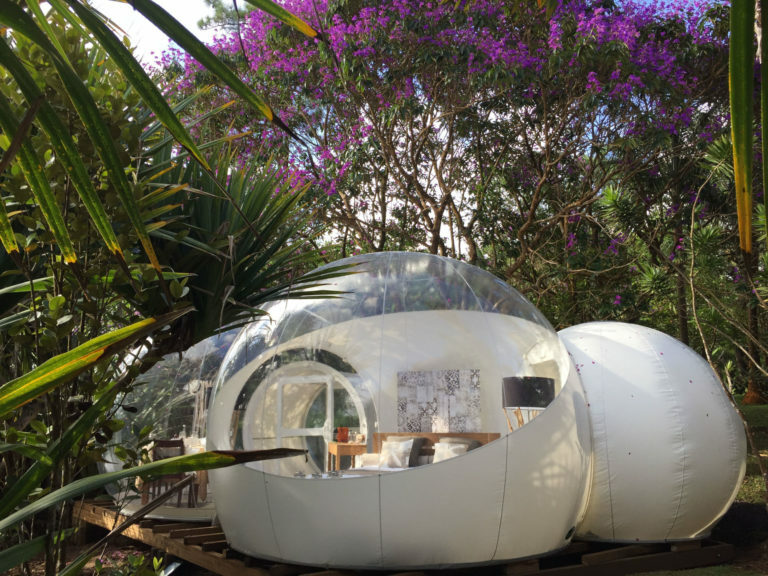 After a day of tea tasting and flightseeing join your astronomer guide and map out the magical constellations of the island skies before retreating to the comfort of your unique bubble suite.